Celebrating 20 Years of Website Development! What is the nature of your industry and your company’s place in it? How much of your time is required to engage with social media? We can help you assess the issues and plan an integrated social media setup. Many of our clients are based in London or Hertfordshire, but their market might be the whole of the UK or the world. 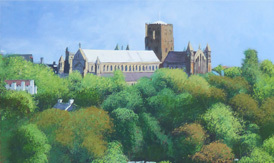 St Albans Art Society represent every aspect of painting and welcome artists of all levels. Info: Visual Design, Membership Tools, and Content Management System. WORDS AND PEOPLE, LONDON UK. Copyright © 1999 - 2019 Words and People. All rights reserved.